Hey guys! First of all, I would like to wish you a very Merry Christmas! It’s that time of the year, it means more creative and festive shots this month but unfortunately, it’s a bit different this month… this year for me. My family and I lost an important person in our life and it’s a very sad moment for us this season. My dad should have been celebrating his birthday today (December 25). Looking at my dad as he slowly fades away was really one of the saddest times in my life. But it’s alright now… I feel relieved knowing he is at peace up there where no more pains and sufferings. I miss my dad but I know he is now happier with the Lord. 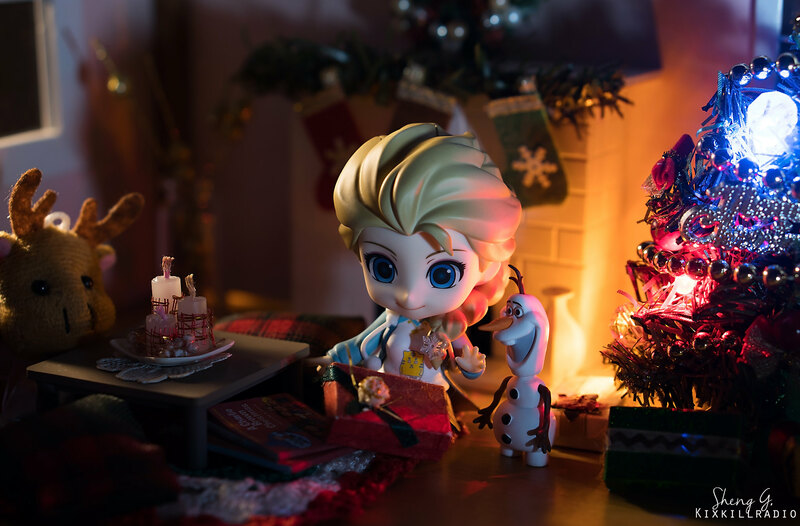 And so I took a short break from toy photography and came back with a few Christmas photos which I’m showing you all today. 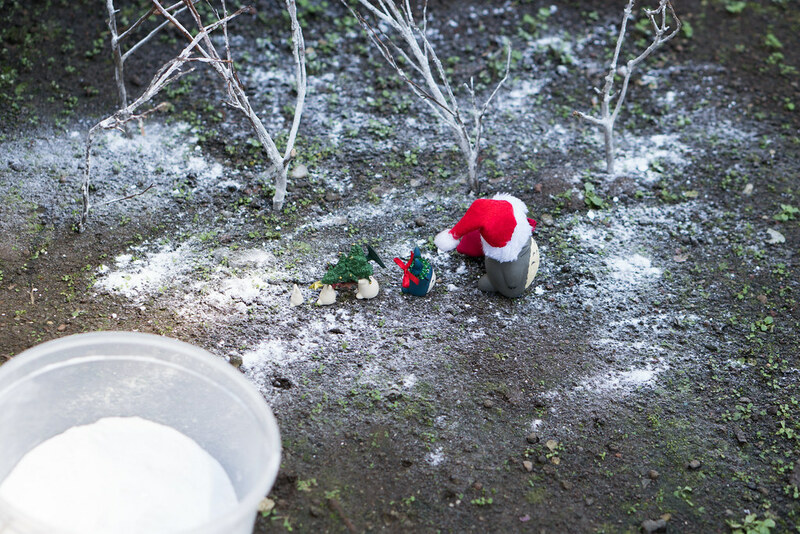 On December 23, the weather was nice and great for outdoor toy photography. 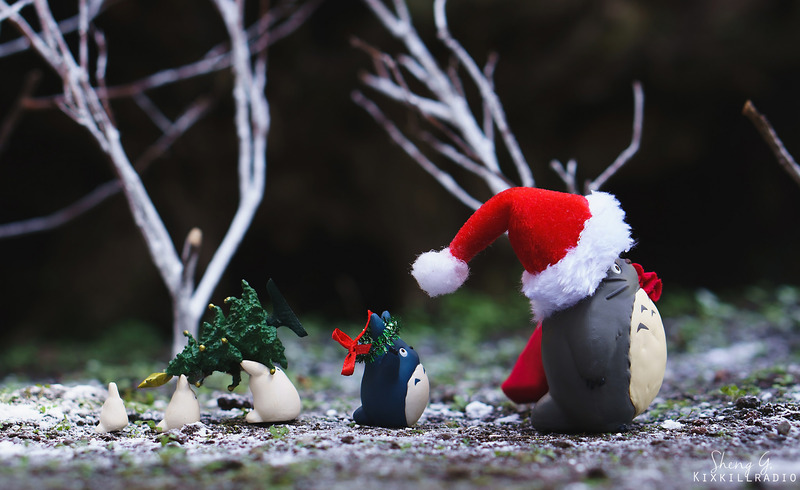 So I decided to take my Totoro figure out, baking powder and some props out to our garden. I didn’t know what to shoot at first and I thought the anime My Neighbor Totoro reminds me of this feeling, happy and sad. 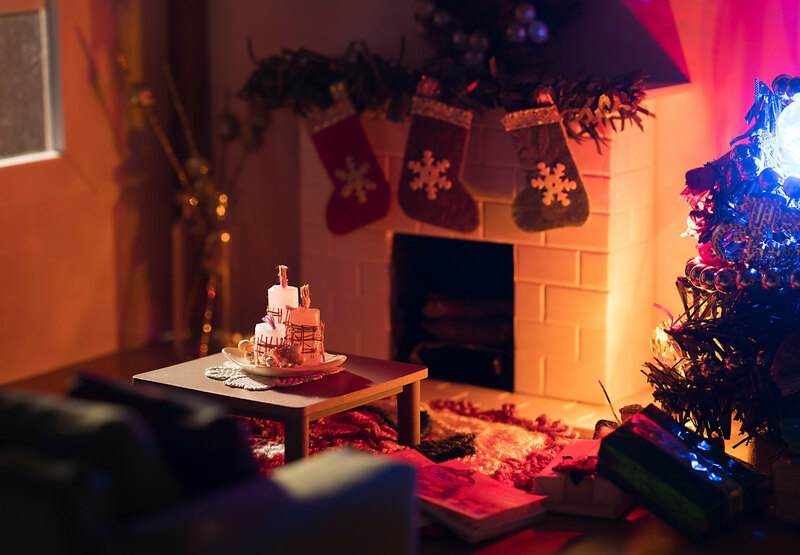 That afternoon, I also decided to make a miniature fireplace for a simple Christmas photo shoot which I’ll be posting a video tutorial on my YouTube. 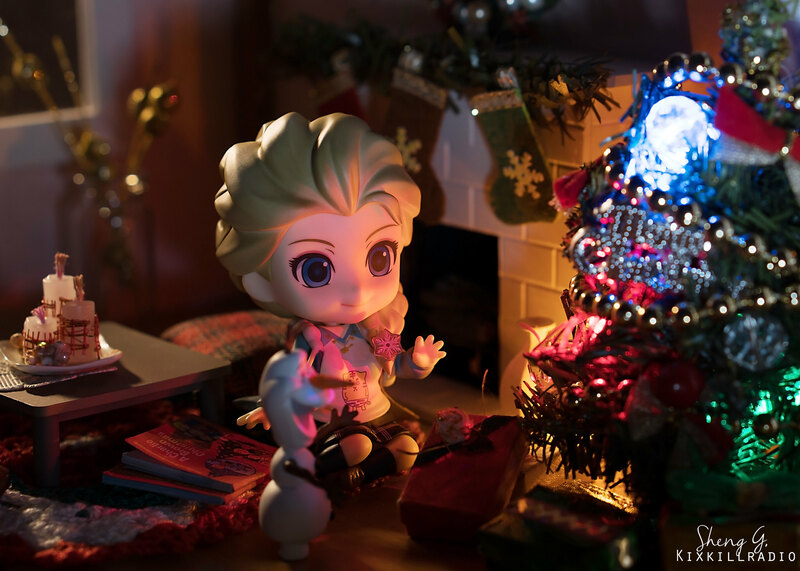 I set up a Christmas room for my Nendoroid Elsa and Olaf decorated with Christmas ornaments that I found at home. Look how happy they are watching the Christmas tree. She probably misses her sister, Anna. 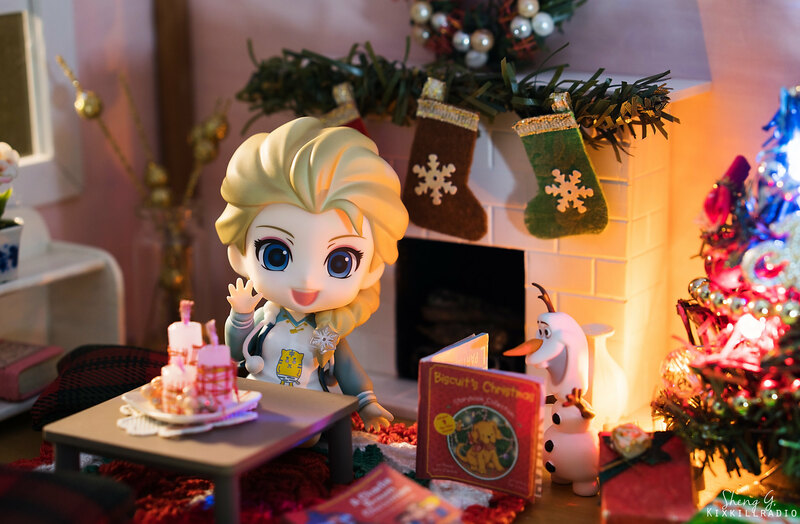 Olaf is busy reading a Christmas book while Elsa wears the sweetest smile. Is it time to open the gift?